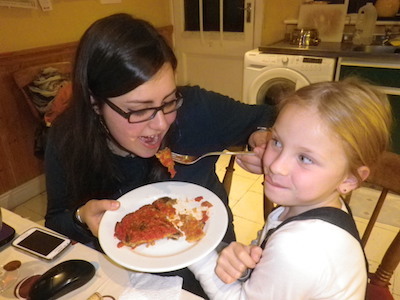 So this week, I’m going to give you Parmigiana di Melanzane – a recipe that your kids will love preparing with you. It’s healthy and tasty. 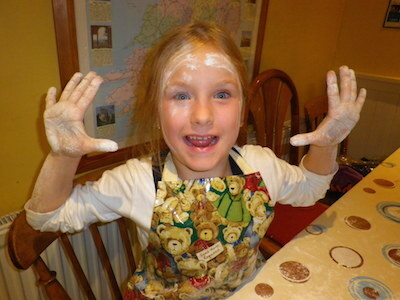 It might take several stages to make, but the steps are quite easy. Let’s once again thank Elisa. Grazie, Elisa!!! 2. 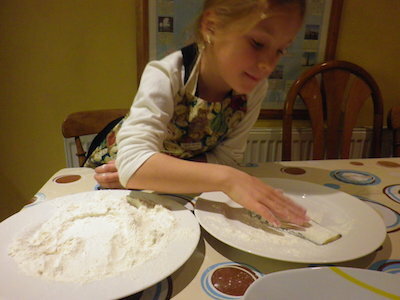 Salt them and put them under a heavy pot to press the water out. 1. 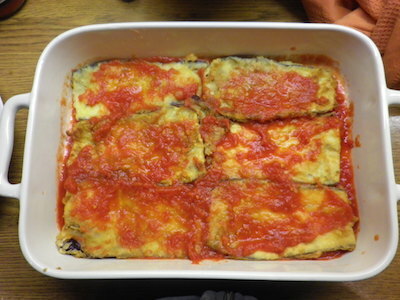 Cover each aubergine slice with flour. Your child can do that easily. 2. 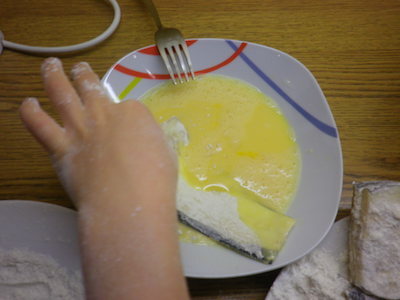 Pass each slice into the eggs and again into the flour. 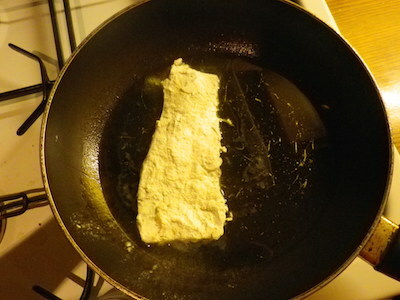 Here’s what they’ll look like before frying. 3. 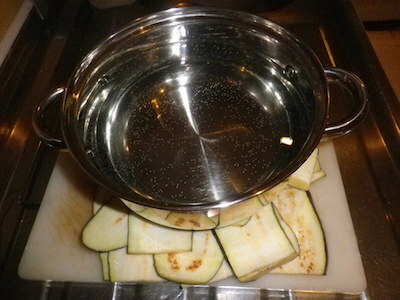 Put some olive oil in a pan. 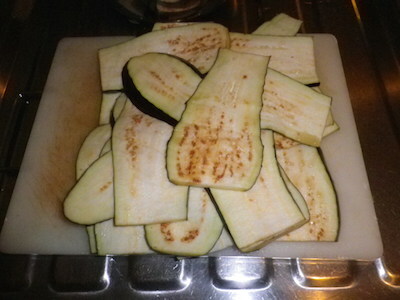 Heat it up and fry the sliced aubergines until golden brown. 4. 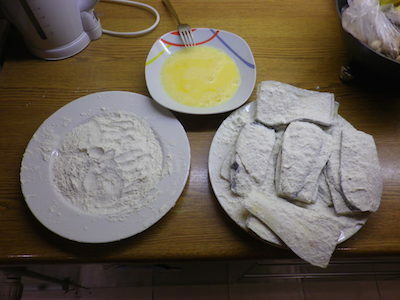 When done, put them on a paper towel to drain excess oil. 1. 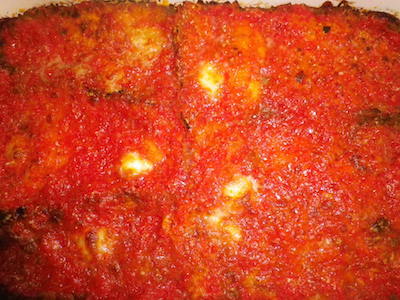 Pour some tomato sauce at the bottom of the tray. 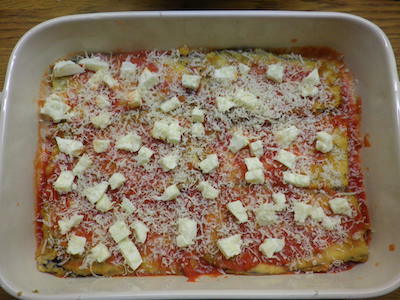 Create the first layer with aubergines. 2. 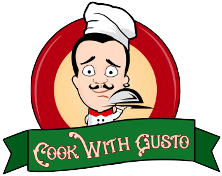 Top it with mozzarella, Parmesan cheese and more sauce. 2. 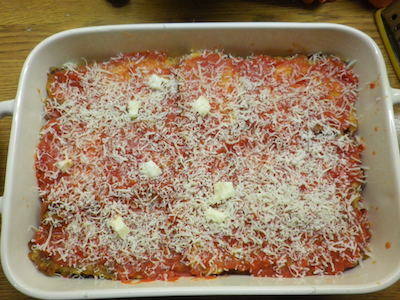 Then add a second layer of aubergines, more sauce and more Parmesan. 3. Bake at 180 degrees ( gas mark 7/8) for at least half an hour. 1. 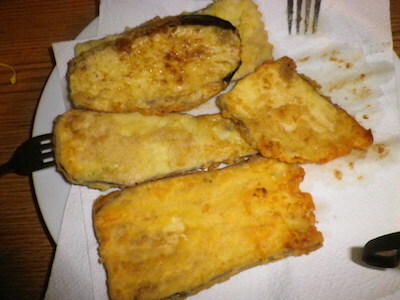 Change the oil after frying every 4/6 slices of aubergines as bits of flour and eggs may stay in the pan. 2. Cover the tray with tin foil for half the time its in the oven. 3. 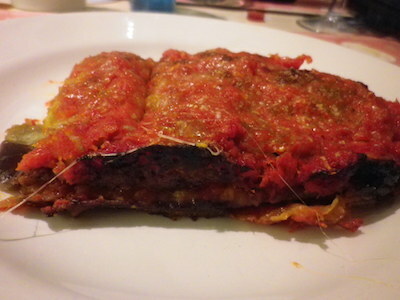 Grill at the end if you like some crust on the top.